On 15 April Dziennik Gazeta Prawna for the 17th time announced the winners of its Złoty Paragraf awards for most effective lawyers. This year the award for best attorney-at-law went to Professor Michał Kulesza, Partner in our law firm. 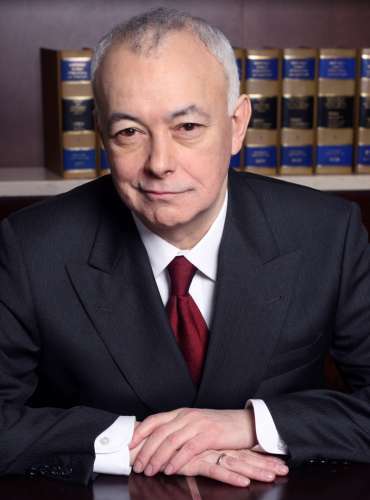 Professor Kulesza is one of the main authors of the administrative reforms in Poland (after 1989). He took part in the Round Table negotiations in the local government group and was an expert advisor and one of the authors of the 1990 Local Government Act. He has twice been responsible in the Polish government for drawing up public administration reforms (1991-1993, 1997-1999). Professor Kulesza was one of the authors of several bills in various areas of public law and the state administrative system, including the Administrative Reform Act, the Spatial Development Act, the Municipal Services Management Act, and the Public-Private Partnerships Act. He also co-authored commentaries on the latter two. Professor Kulesza is founder and first editor-in-chief of the local government weekly Wspólnota and founder and editor-in-chief of the Samorząd Terytorialny monthly. Since 1991 he has been a professor at the Faculty of Law and Administration at Warsaw University and has headed the Public Administration Theory Department since 1995. He is the author of over 150 academic publications. Since 7 October 2010 Professor Kulesza has been one of President Bronisław Komorowski's advisers on local government affairs. "He engaged with rarely-met determination in rebuilding the peoples' state and introducing local government reforms. He has a great mind. Without his analyses and innovative thinking the administrative revolution in Poland after 1989 would not have been possible” said Andrzej Zwara, president of the Supreme Council of Advocates, when selecting Professor Kulesza. The Złoty Paragraf has been awarded for 17 years now by Dziennik Gazeta Prawna and is aimed at honouring prominent members of the legal profession: judges, advocates, prosecutors and attorneys-at-law. In addition, for the first time a Złoty Paragraf was awarded this year to a person working on the borderline between law and economics.